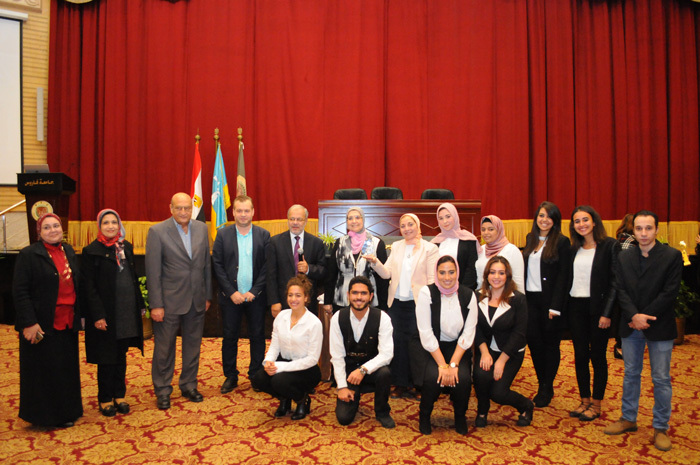 Pharos University held the annual competition for Societal Research Projects which involved eleven research projects submitted by eleven faculties. This took place on Monday 27/11/2017 at PUA conference hall. 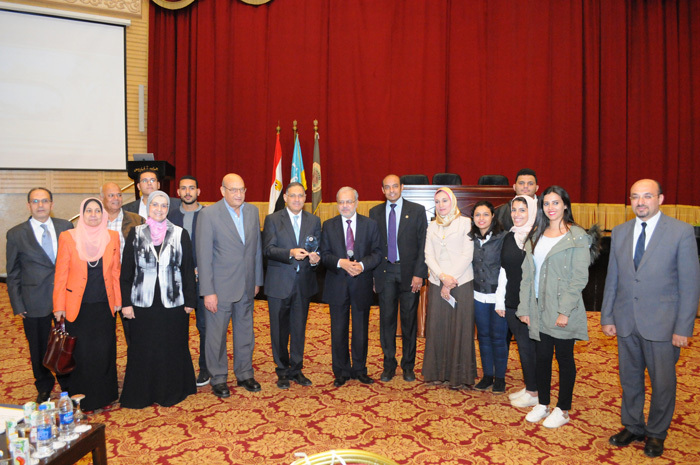 The competition was held in the presence of Mr. Mohamed Ragab, the Chairman of PUA Board of Trustees; Prof. Mahmoud Mohy El-Din, the President of Pharos University and Prof. Norhan Fanaky, the Vice-President for Education and Student affairs. 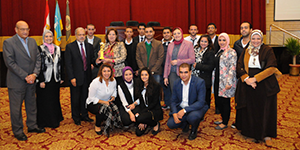 The competition was also attended by other vice presidents of Pharos University, deans, faculty members and students. 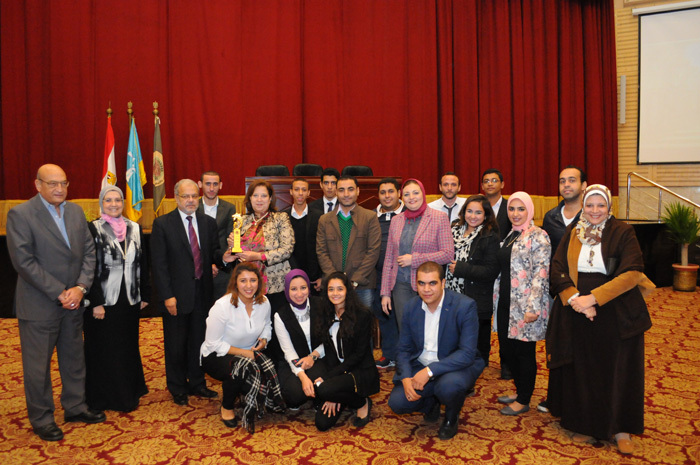 The faculty of Tourism and Hotel Management came at the first place for a documentary film on Alexandria. Meanwhile, the faculty of Engineering was placed the second for a project on “Enhancing ATM Accessibility for the Elderly and Intermediate Learners”. As for the third place, it went for the faculty of Arts and Design for a research on “Interior Wall Treatments by Painting”. Research projects were discussed by the Chairman of PUA Board of Trustees, professors and a panel of experts. The panel involved Dr. Onsy El-Shafy, the Head of Alexandria Pharmacists’ Syndicate; Dr. Magdy Hegazy, the Deputy Minister of Health; Prof. Alsayed Abu El- Majeed, a lecturer at the faculty of Pharmacy- Alexandria University, Eng. Sherief Hedraa, the Former Minister of Petroleum and Mr. Mohamed Hussien, the General Manager of the Regional Authority for Promoting Tourism.